Fri., July 13, 2018, 7:28 a.m.
A GRIP ON SPORTS • Trying to emulate Felix Hernandez’s career path is one thing, but maybe James Paxton is taking this worship of the King a bit too far. Read on. • It was just a few days ago the Mariners put Hernandez, their all-time winningest pitcher, on the disabled list. He has a bad back and, with the All-Star game coming up, the team took advantage to give him a break that may only mean one start missed. But last night, as he was getting whacked around by the Angels in the bottom of the first, Paxton began to fidget. And then stretch. And finally to look like a 60-year-old man trying to get out of a chair. Out popped Scott Servais. 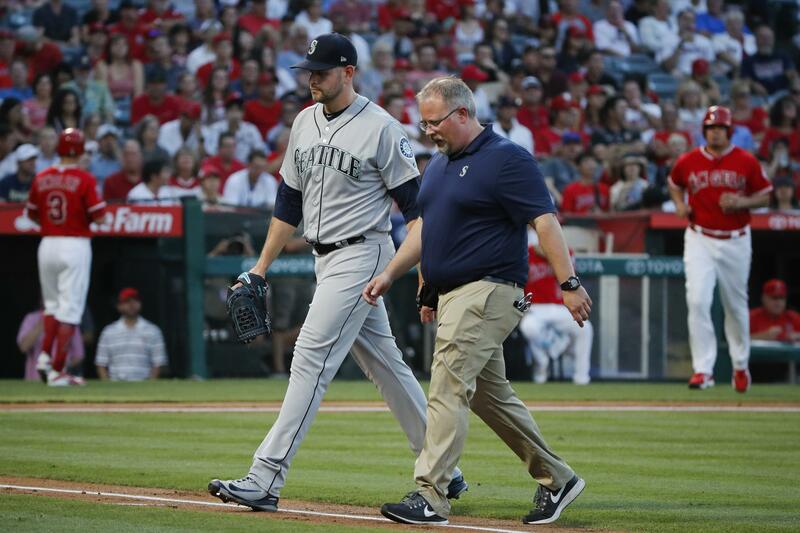 Paxton headed to the clubhouse with the trainers and the M’s were headed to an 11-2 loss. Turns out, Paxton’s lower back is sore as well. The former has to be it, right? After all, it’s not like drinking tainted water or eating bad sushi causes a back to flare up. It could be anything, from bending over to pick up a penny to getting out of a chair too fast. Or it just could be the wear and tear of the baseball season. Servais called it a minor injury last night and he’s probably right. 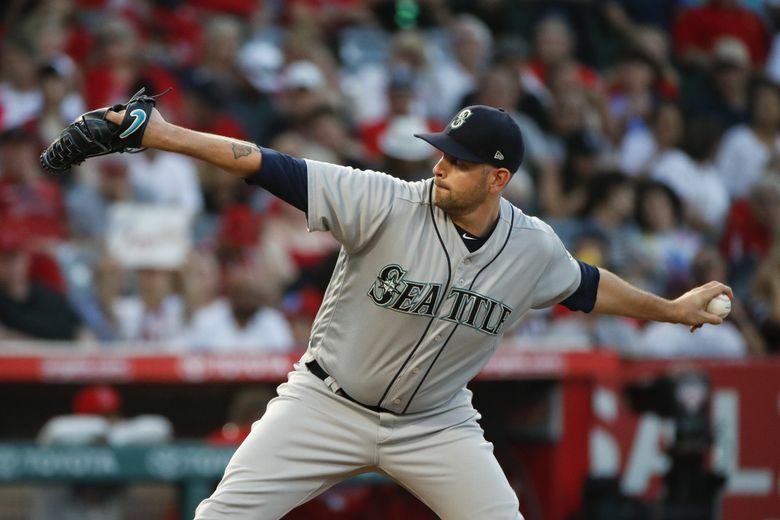 But few Mariner fans would consider anything minor, especially not this season when the long playoff drought seems on the brink of being washed away. And there is the other aspect of this, the lack of transparency about injuries, something that the M’s have been guilty of in the past. Something may seem minor one day and then require surgery a week later. With the once and future king of the staff both suffering the same ailment, the long-suffering Mariner fan sits and waits, hoping their backs heal and that’s all it really is. Gonzaga: Brandon Clarke can’t wait for November. That’s when he’ll get to play his first game in a Bulldog uniform. The San Jose State transfer used his NCAA-mandated year without games to improve his shot and to get stronger. Now he’s ready to show GU fans what he has to offer. Jim Meehan spoke with the 6-foot-8 forward recently and has this story. WSU: Around the Pac-12, the Arizona Republic is doing a four-part series on new Arizona State football coach Herm Edwards. … In Tucson, the focus is on the Arizona football players. … How did Utah come to join the Pac-12? It was a process, that’s for sure. … The Utes have finished next basketball season’s nonconference schedule. EWU: The Big Sky Conference’s media day is this Monday. In downtown Spokane. That will make it easy for the local coaches. Ryan Collingwood takes some time today to preview the annual event. … Elsewhere in Big Sky basketball news, Portland State coach Barret Perry signed a contract extension. Idaho: In our continuing series of local athletes playing in the NBA summer league, today we highlight Jeff Ledbetter. Indians: Let’s take a look from yesterday’s scorebook. The early innings were dominated by a fire in an Avista Stadium concession stand. Dave Nichols has that story. And then the Indians had a chance to win the game in the bottom of the 10th, but failed. The door open, Eugene stepped through, scored five times in the 11th and won 9-4. Dave also has that story. … Around the Northwest League, Everett lost to visiting Vancouver 3-1. The AquaSox closer didn’t get a chance to show his wares. Chiefs: Spokane made a couple trades yesterday. Mariners: The loss means the M’s have dropped two consecutive series and, maybe more importantly, can see the Oakland A’s in their rearview mirror. The wild-card lead is down to five games. … The Angels are dealing with huge problems as well, but they did have a milestone to celebrate yesterday. … With Hernandez out, Christian Bergman, my favorite Mariner player, will start tonight’s game against the Rockies. With the game in Colorado, Nelson Cruz will become a pinch hitter. … The core of the M’s roster, including three of their four all stars, is under contract for a while. … Chris Herrmann went from video games to backup catcher. Published: July 13, 2018, 7:28 a.m.